Who doesn’t love a robin?! These birds are charming, cheeky and much loved by many. They are icons of Christmas and winter and love helping out with the gardening when the weather is brighter. Indeed, this is the time when the robin rules, quite literally if you listen to old tales. At the winter solstice, the robin, king of the waxing year kills the wren, king of the waning year, and takes over until the summer solstice. This gives us lots of juicy metaphors to play with around light and energy and manifesting. If you aren’t familiar with the associated powers of the moon, you might want to have a look into this as the idea of the waxing and waning year will have parallels there. 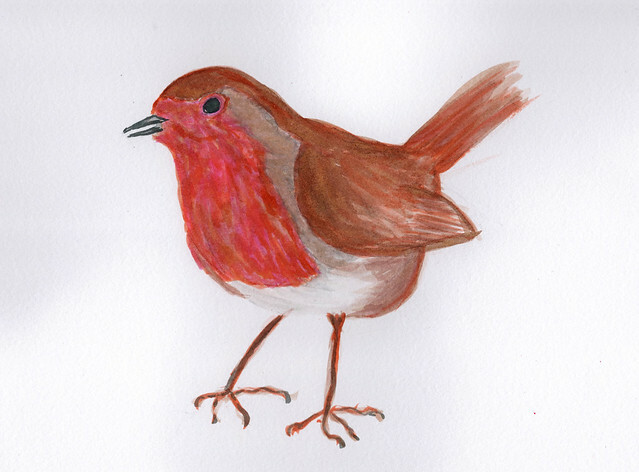 Tied in with the start of a new year, we see the robin as a symbol of growth, renewal and literal or figurative new life. Similarly, to find robin feathers in your path brings new projects, new plans and beginnings. It was said that you should wish on the first robin you see in the year and it is likely these wishes, intentions or even new years resolutions will manifest themselves by midsummers day. Despite this, it was said to be bad luck if a robin entered your house. 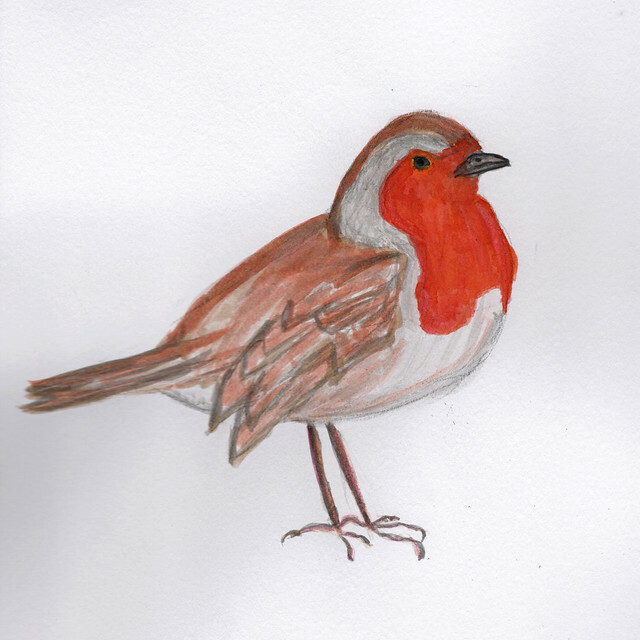 There are various stories about how the robin got his red breast. One explains how the robin tried to help Jesus when he was dying on the cross. A drop of Christ’s blood fell onto the bird. A welsh legend says that he got singed whilst making his daily flight to hell with a drop of water to help cool those who were suffering. The robin has also been said to be a bringer of fire. These three stories paint a picture of a helping, friendly creature and folklore does direct people to treat the robin with respect. Hurting a robin will come back and bite you. Despite they way they boldly encroach into human spaces, they are very territorial and have been known to try and attack their own reflections. They literally see the enemy everywhere and so despite their relaxed, bold persona, I suspect they are always on high alert. Be careful of looking for danger where there is none, it gets very tiring and you can push away some great people and great opportunities if you never let your guard down. I have found myself watching birds more as the years pass. Sparrows and swallows flutter nearby, and it’s always nice to spot them. The myths your wrote about the robin are interesting.